USPW is at the forefront of the green revolution, greening festivals and events, by educating consumers and providing self-serve water stations and reusable containers as an alternative to single-use bottles. Join us at these landmark events! 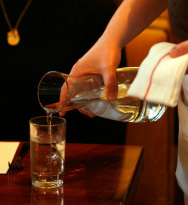 Join Gather Restaurant, Flour & Water, Frantoios, Sol Foods, Blue Plate and many others in taking the 'no plastic pledge', and providing high quality, and carbonated water, to your clientele without the waste of single-use plastic bottles. 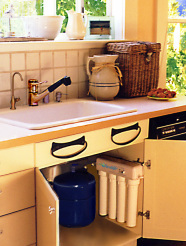 Reverse Osmosis (RO) and filtration systems that fit compactly under your sink, for the freshest possible water, restored to its original purity: just bare naked H2O, at your fingertips, in the convenience of your home or office. We love Annie Leonard! Her series on 'The Story of Stuff' is brilliant!